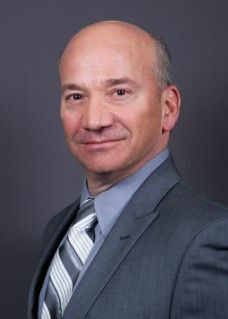 Harris Search Associates has recruited Paul Kassel as Dean of the College of Visual and Performing Arts at Northern Illinois University (NIU). Harris Search Associates has successfully recruited Paul Kassel as Dean of the College of Visual and Performing Arts at Northern Illinois University (NIU). Kassel begins work July 1 in DeKalb. A member of the SUNY New Paltz faculty since 2004, Kassel served as interim dean of the School of Fine & Performing Arts from 2013 to 2015. He served as associate dean from 2011 to 2013 and was associate chair of the Department of Theatre Arts from 2010 to 2011. During his teaching career at New Paltz, he has directed and performed in productions, coached student actors, supervised directing projects and recruiting students. He also is an artistic associate of the Half Moon Theatre Company, where he has directed and performed in productions, participated in fundraising and developed company guidelines and policy. He contributed to the development of interdisciplinary art/design and computer science/engineering programs in collaboration with the SUNY New Paltz School of Engineering & Science, including a Digital Design & Fabrication Lab and team that received $500,000 in start-up funding from Hudson River Ventures and Central Hudson. “Professor Kassel is a talented actor, an accomplished teacher and scholar and a proven administrator with significant experience supervising undergraduate and graduate degree programs, as well as public visual and performing arts events and community arts programs,” Freeman said.